I was given a copy at TechCrunch Disrupt. Over the past day or so, I’ve read it in its entirety. Every person curious about or in the world of startups should read it, because it contains so much original thought. These are my three favorite ideas from the book. Idea 1: Founders should aim to create monopolies. Four attributes characterize monopolies. First, proprietary technology. Second, network effects that enable the business to grow faster as it scales. Third, economies of scale which reduce the costs of growth over time. Fourth, a brand. All of these elements create barriers to entry that defend the future profits of the startup and reinforce monopoly power. Idea 2: Disruption is the wrong mind-set. Idea 3: The four lessons we learnt from the dot-com era are wrong. Make incremental advances :: Incremental advances don’t lead to defensible technology. Stay lean and flexible :: A bad plan is better than no plan. Improve on the competition :: Competitive markets destroy profits. Focus on product, not sales :: Superior sales and distribution can create monopoly, even without product differentiation. The converse is not true. Each of these ideas has arguments and counter-arguments. Because these ideas differ so much from the conventional wisdom, they arresting and demand deeper thought. I suspect one of the ramifications of publishing the book is there will be many founders and investors debating their applicability. Aside from these three ideas, the book includes many other great tactical concepts including thoughts on the composition of a founding team, startup culture, and go-to-market strategies. In addition, Thiel discusses the philosophy of the day (”indefinite optimism”) and discusses the challenges with this mindset. 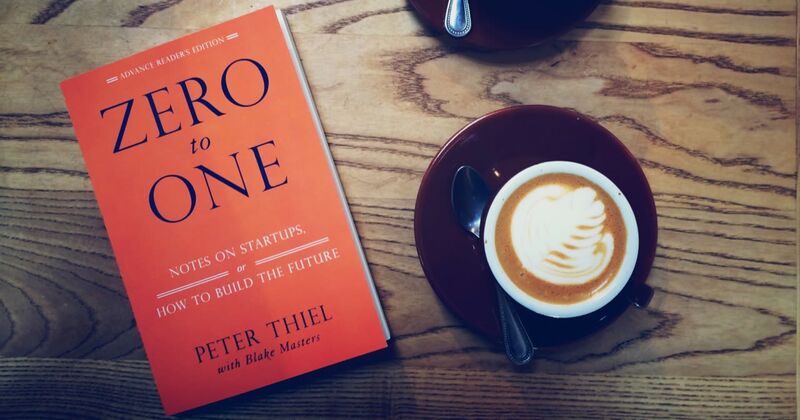 The book differs from the notes in one important way: it’s written in Thiel’s voice. Consequently, the stories are more tangible and the arguments are more forceful than in the notes, but they are also more concise. I found myself going back to the notes for some more context around particular arguments. Together, they are a great resource for founders. Zero to One is a great read and an important book because the key ideas of the book will become part of the language of the valley.